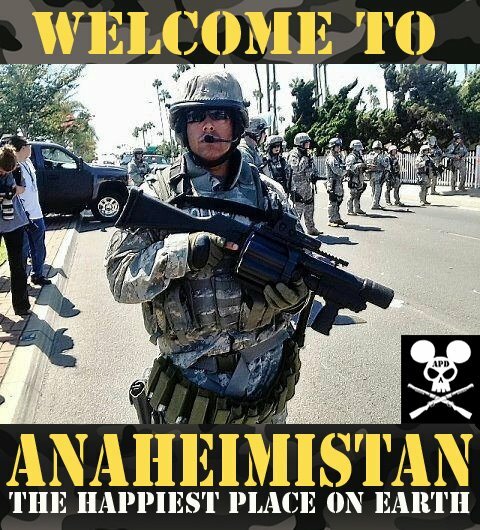 Now in the shadows of the world’s most famous amusement park residents of Anaheim are bravely (and in some cases stupidly) confronting the Anaheim Police Department, an at times callous, authoritative government power that isn’t accustomed to being questioned even when it executes people. Crisis always spurs creativity and the most original ideas are presently forming outside of the gates of Disneyland. Art by Lalo Alcaraz, photo by Johnny Nguyen.